Beck was scheduled to and sold tickets to a show the weekend before this. But that show got cancelled. Then this show happened a few days later, it was "secret," word started to get out, but tickets weren't sold in advance. It was basically a private show, I think. Anyway, it was the first show with his new Guilt Band. 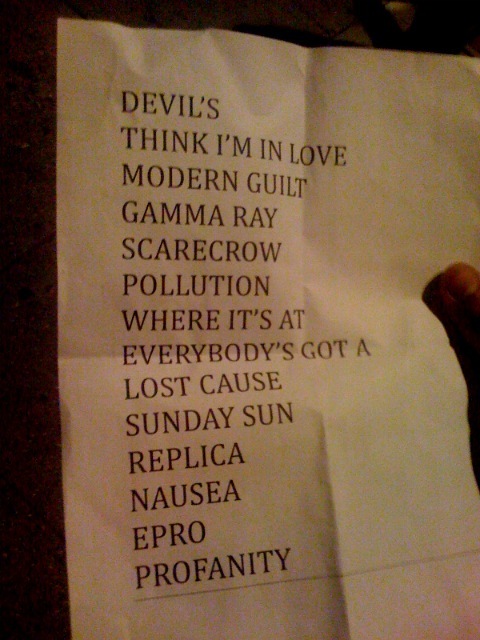 Also contained the live debuts of "Modern Guilt," "Gamma Ray," "Replica," and "Profanity Prayers."